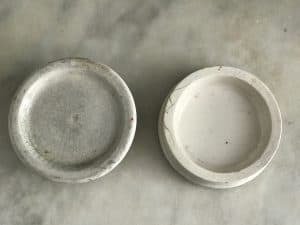 Measures approximately 2 1/2” diameter x 1 3/8″ tall . 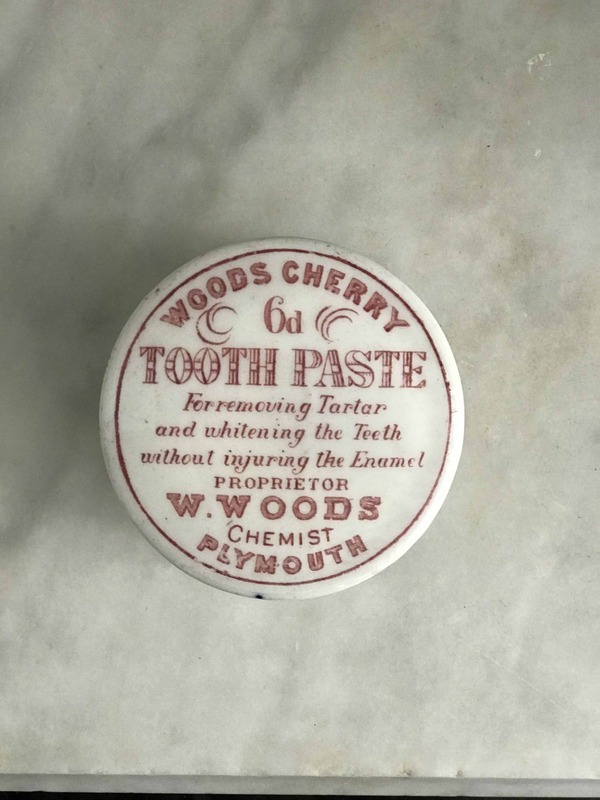 This is a listing for one (1)Rare Red Transfer Print Woods Areca Nut 6d Tooth Paste Lidded Pot with Base Advertised For removing Tartar and whitening the teeth without injuring enamel. 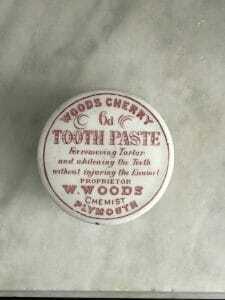 proprietor W. Woods Chemist, Plymouth. 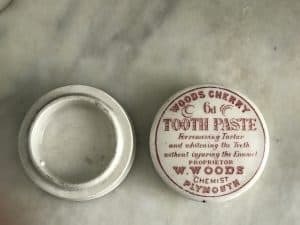 First used some time in the 1880’s and made until 1914 when the price of this size pot increased.